Whether your project is a professional landscaping commission or a residential garden, everyone benefits from accessibility. Not only does it open up an area to everyone, it also addresses everyday practical issues from moving garden toys and furniture around to the job we all dread – putting the wheelie bin out! The inclusion of ramps and accessible pathways, into all landscape/garden designs, is becoming increasingly popular – which we believe can only be a good thing! We hope you find this Blog about ramps and accessible footpaths useful, but please remember it is just a helpful guide – we strongly recommend checking current Building Regulations for legal requirements. While this is a low cost, durable and low maintenance option, it’s not very pretty and unless great care is taken in its design and its placing it will inevitably crack. The concrete should be textured for extra grip and a non-slip finish applied if necessary. Choosing porous concrete is more expensive but provides better drainage and prevents the build-up of moss or algae. For larger areas, this is a low-cost, low maintenance and durable surface that is also available in a permeable option. While asphalt itself is not very attractive it can be surfaced with other materials to make it more pleasing to the eye. The negatives with asphalt are that it can become soft and sticky in hot weather and will fade to a grey colour as the bitumen layer weathers. Although many asphalts should prove slip resistant enough for most uses, care should be taken that the asphalt type is not prone to polishing up in areas where vehicles are braking or changing direction. If there is any doubt, an anti-slip treatment should be applied. This is just about the cheapest option available if you want a rustic appearance that (more or less) stays where you put it and can be quite long-lasting, if it has been well prepared and constructed. Hoggin does require regular maintenance to replace loose stone and comes with the disadvantage of tracking in dirty footprints during wet weather and dust when dry. The surface is not good for turning or breaking vehicles. Although relatively attractive and available in many colours, brick paviors have a slightly industrial feel and can be one of the more expensive surface options. When installed well, with good quality brick, they deliver a good looking, smooth surface with good drainage. Poor quality bricks can be slippery and if not laid properly will leave an uneven, potentially hazardous surface. Falling in the mid-range price bracket, wood and decking has an attractive, natural appearance. But must be laid at right angles in the direction of travel so it doesn’t trap wheels. Unfortunately, in our lovely damp and wet climate timber requires regular maintenance to give any sort of longevity. Even though a coating of hot bitumen, sharp sand or netting will improve the grip, wood does become slippery when wet. 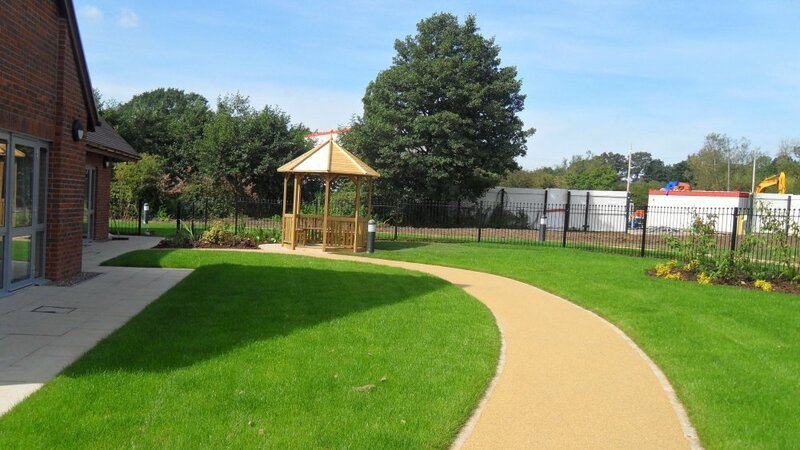 While it’s not the cheapest option, resin bound paving is one of the most accessible and environmentally friendly surfaces available. It is durable, low maintenance and can be guaranteed up to 18 years. While similar in name, resin bonded is not as durable or accessible. Review the differences between resin ‘bound’ and resin ‘bonded’. Mostly used for minimising damage to lawns and laying over ice and snow for safety, they also make uneven surfaces level. 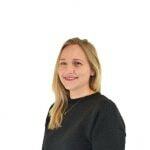 They come in a standard width and length and can be clipped together to create a wider surface. Roll up footpaths can be rolled up and stored away. Laid flat and even, they make an ideal surface with good traction, drainage and choice of colours, although the pigments used in slabs do fade comparatively quickly. Paving slabs/stones can be slippery and if not laid properly will leave an uneven, potentially hazardous surface. Surfaces that include a gradient are potentially hazardous, so it is essential that the width and gradient is considered together. Sometimes a slightly steeper gradient over a shorter distance can be more acceptable than a gentler gradient over a longer distance. You should aim to make the surface as level as possible with a gradient no greater than 1:12 (i.e. for every 1.2 metres, the path has risen no more than 10 cm). When designing your footpath be careful to avoid sharp turns and right angles and provide level resting platforms every 30m for sustained gradients of more than 1:20. Do you need any handrails or kerbs? Does the area need to be lit? To consider the approach to the ramp or footpath, which should be made apparent. This can be done using different textures or contrasting colours. We hope you found this useful, but please remember to check with current Building Regulations for legal requirements. You can find information about organisations offering advice about funding on the Royal Horticultural Society website, Wheelchair Ramps Guidelines and Best Practice and Guidance on the use of Tactile Paving Surfaces. 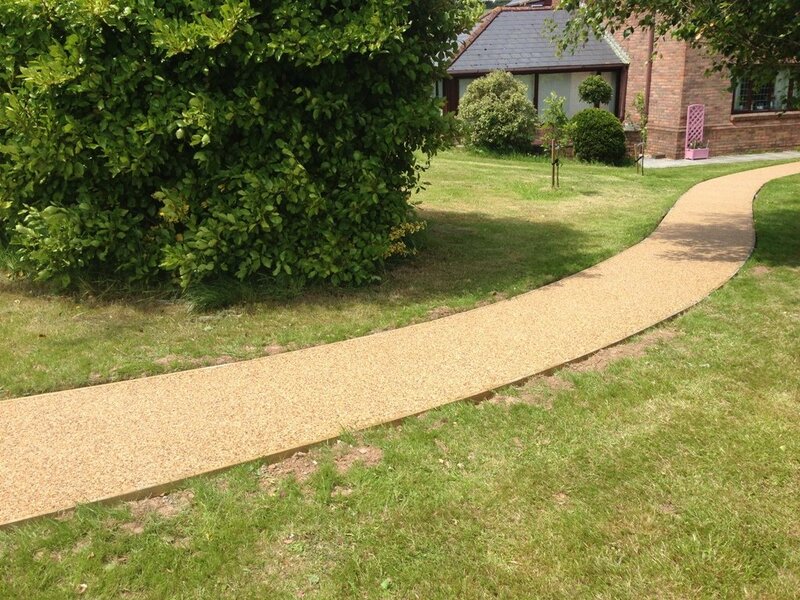 Please visit these links for more information about resin bound surfaces for gardens and hard landscaping.